Doctors and other healthcare professionals are trusted to maintain the highest possible standards of care. When this trust is violated and a misdiagnosis, surgical error, or other medical accident occurs, it can have catastrophic consequences for patients and their families. If you or someone you love has been the victim of medical malpractice, the team at Zucker & Regev will work tirelessly to hold negligent care professionals accountable and secure fair compensation for your losses. Unlike many other practices, we have been specializing in this area of law for more than 30 years. The death of a loved one is always painful, but when a careless or criminal act is to blame, the loss can seem particularly senseless. If an individual or business caused or contributed to your devastating loss, you may be entitled to financial compensation. Gary A. Zucker recognizes that no dollar amount will bring back a beloved family member, but holding those responsible for negligence or wrongdoing can help to prevent a similar injustice from occurring again. A brain injury is one of the most potentially devastating consequences of medical malpractice. This type of injury will almost always require extensive treatment and an extended period of recovery time. In many cases, there are even permanent, disabling repercussions, including personality changes. A brain injury can occur as a result of oxygen deprivation during surgery, errors in pharmaceutical prescriptions, and other medical care mistakes. We offer support for victims and their families, helping them secure compensation for brain injuries caused by medical negligence. Birth injuries can be the result of preventable birth trauma or a doctor or medical professional’s delayed or mistaken diagnosis. These errors can have catastrophic consequences, including irreversible brain damage that may necessitate long-term care. Although birth injuries such as shoulder dystocia, infection, or a bone fracture may be less serious, they can still cause significant pain, emotional trauma, and a need for extensive and costly medical treatment. If your child suffered a birth injury, our team can provide expert legal representation and support. Cerebral palsy is a disorder that permanently affects body movement and muscle coordination. This devastating condition is often the consequence of medical negligence, such as oxygen deprivation from head or brain trauma during a difficult birth or an undetected infection. If your child suffers from cerebral palsy, an attorney at our practice can help determine if it was caused by medical malpractice and then work to hold the liable parties responsible. Erb’s Palsy is nerve disorder that causes weakness or paralysis of the arm. This condition often occurs when a baby’s shoulder gets caught in the birth canal. In many cases, medical treatment can fully resolve the injury, but some sufferers will continue to experience debilitating symptoms. If we find that your child's Erb’s Palsy was the result of medical malpractice, we can see to it that your family's legal rights are protected and secure compensation on your behalf. 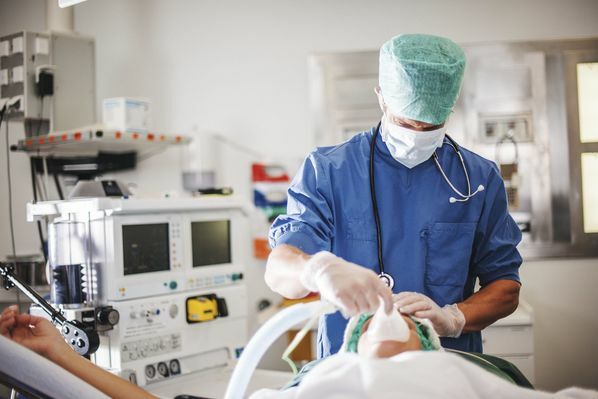 Negligence on the part of a surgeon, anesthesiologist, or an operating room nurse during surgery can have serious or even deadly ramifications. In addition to medical professionals, hospital policies pertaining to equipment and staffing can also play a part in surgical medical malpractice. When representing clients on these types of cases, our expert attorneys draw upon decades of experience to help demonstrate that negligence caused or contributed to a patient’s surgical injury or wrongful death. A misdiagnosis or failure to diagnose a serious illness can prevent a patient from receiving the timely treatment that he or she deserves. Doctors are highly trained and trusted to accurately diagnose health concerns, so they must be held responsible for careless inattention. If you or someone you love has suffered as the result of a misdiagnosis or failure to diagnose, our attorneys are here to provide the unwavering legal support you deserve. Parents often rely heavily on the care and advice of their child’s pediatrician. Unfortunately, when a medical professional is negligent in the diagnosis or treatment of a child's illness, it can result in catastrophic consequences and victims may require a lifetime of care. If your child was the victim of pediatric malpractice, we will pursue justice on your family's behalf and seek to hold the liable parties accountable. Mistakes while administering anesthesia can have serious or even fatal consequences. Possible effects can range from temporary symptoms to organ or brain damage. If you or a loved one is suffering from the aftereffects of an anesthesia error, our team can hold the negligent parties responsible.